Will Parker is a children's songwriter and teaching artist, making music for "kids ages 1-100." During Will's whimsical and interactive shows, he plays guitar and harmonica and sings songs that open us up to the world of imagination while simultaneously validating the human experience. A fan favorite at each of Will's show is an improvised song based on topic suggestions from the audience. Additionally, he presents programs on songwriting, the creative process, improvisation, theatre, and story-telling. If you're looking for children's music for your birthday party or special event in San Antonio, Texas or anywhere in the United States, look no further! 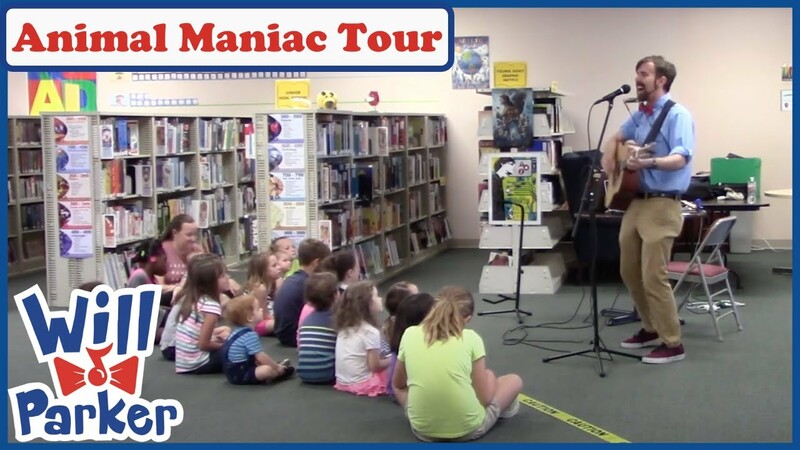 Will Parker entertained our library patrons with an amazing show, chock full of music, silliness, and all-around good, clean fun. This musical comedy was the perfect fit for our Summer Reading Program, "Libraries Rock!" Our kids and teens both participated onstage with Will and loved every minute of it. We would welcome Will back in a heartbeat. He is an amazing entertainer. He also sat down after the show and did a few quick punk folks songs for our Teen helpers. They now think he hung the moon. I would highly recommend Will Parker for to anyone who is considering live entertainment. He most definitely is worth his weight in gold. Mr. Parker performed at Palestine Public Library, leading the children and families in cute, interactive, funny, wonderful songs. We all enjoyed ourselves immensely. Thank you so much for reminding us again why music is so important, and that great musical performances bring much joy. Great for my son's 3rd birthday! Will performed for over 25 kids, ages 1-4 (+ another 35+ older "kids) and everyone had a great time! My son, a guitar/music FANATIC loved every second of it! He's still singing Hip Hop Bunny Hop 5+ times a day. The adults loved the improv song - it was hilarious and impressive! Thank you, Will, for making my son's birthday so very memorable. We may have to have him back for next year's party! Thanks so much, Kristen! Glad everyone had a great time! 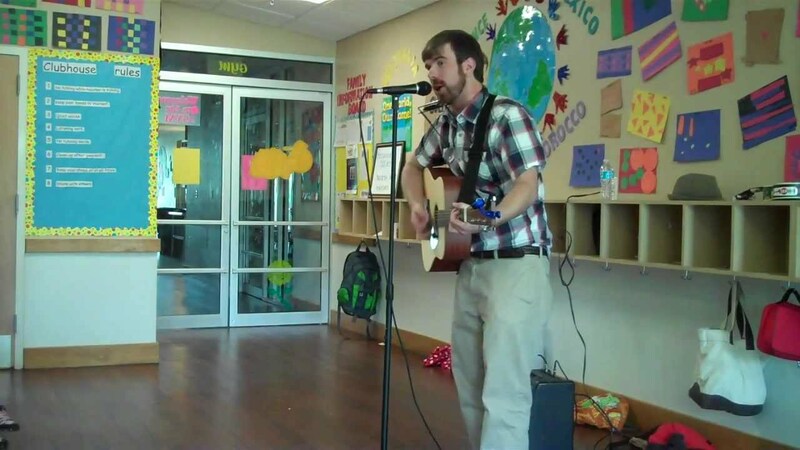 Will Parker performed at Schaefer Library for a large group of kids and was excellent! Will's show is full of energy, he is bouncing around all throughout the show along with the kids. The songs performed are all original songs written by Will, which is amazing because they are wonderfully creative and super fun! Kids (and adults) of all ages thoroughly enjoyed this performance. Will Parker is energetic and can get his audience involved! Mr Parker played his guitar and harmonica with such passion that the crowd couldn't help but get involved. Will Parker is a high energy musical performer! The Southlake Public Library brought him in as a part of the summer reading program. The children had a great time and he was very good mixing time for them to sit and time for them to move. His songs are fun and engaging. Will was a great performer! Both the kids and the parents had a fun time with his performance - kids were anywhere from 2-12. The songs were upbeat, fun, and encouraged participation from the kids and their parents. Highly recommended! Will Parker put on a fantastic show for us this week. His lively songs and energy really got our kids singing and dancing along with him. This was a great way to begin our summer programs. I would highly recommend him. Thanks so much, Nancy! Enjoyed playing for ya'll! 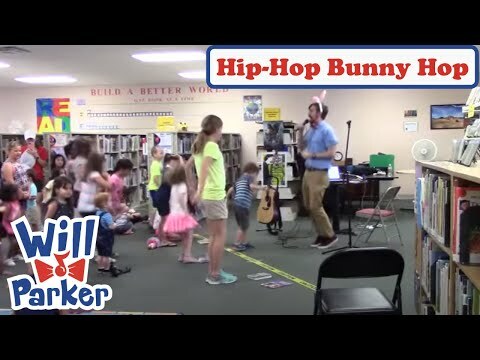 Will performed at our library’s 2018 summer reading program. He is very talented and energetic. His involvement with the audience made them a part of the program. Everyone had a blast, kids of all ages as well as adults. Will proved that Libraries really do Rock! Thanks so much, Margetta! I appreciate you guys having me! Will Parker did a wonderful job performing for the preschool and early elementary kids. His songs are both entertaining and interactive. Will has a real talent for connecting with kids! We hired Will Parker as one of our summer reading performers and he was AMAZING. He had an audience of 200+ for an hour and kept them entertained and engaged from start to finish. His energy, talent, and sincerity shine and his sense of humor kept us *all* laughing, from the littlest in the audience to even the adultiest adults among us. We hope to have him back again next year and honestly, I don't think the kids would forgive us if we didn't!! Will came to the Electra Public Library July 6th and we had a blast. Will is full of energy and kept the kids entertained with fun, laughter and high energy. His songs were great and educational to great rhythms and snapping beats. Will has an amazing memory, that astounded me when he could name everyone who attended the performance even though the children moved around during his performance. He made up a song for the kids with things that the children suggested. He never wrote any of the suggestions down but he remembered them all. If you have never booked will for something at your event please consider it because he is awesome. Will Parker did a wonderful show at my library! He creates energetic, humorous, dance-able music that is completely infectious! The songs are great; I haven't been able to stop humming "Amanda, the dancing panda," "I'm a bear now," and "Hip hop bunny hop." He is great entertainment for kids of any age, and adults, too. I highly recommend his show for your group! Mr. Parker performed for my library's summer reading program. His show was amazing. The children that attended were completely entertained my Mr. Parker. His songs are perfect for any age. Even the parents enjoyed him!! I cannot wait to have back!! Will was great at getting the kids to participate and sing and dance along with him! Even though the rapping was fun, I don't think the kids knew how educational it was. It was a fun show for everyone of all ages! Will Parker gave such a fun performance at our library. He engaged the kids with all of his songs and kept them dancing for an hour! It was a great time! 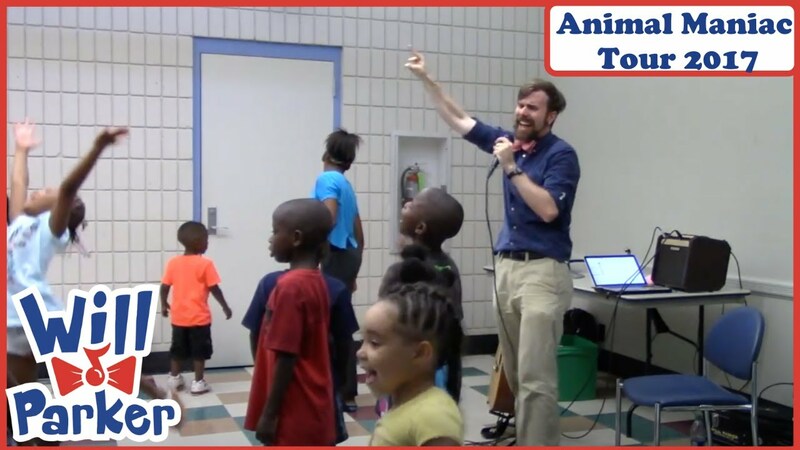 Will Parker provided entertainment for our library's summer reading program in June, 2017. While the program was intended for Kindergarten through 5th grade, there were a variety of ages in attendance. Mr. Parker kept all of the children well engaged despite the age differences. He was energetic and his program moved at a good pace. Mr. Parker is also a quality performer musically. He sang fun songs the children could participate in while accompanying himself on guitar and ukulele. Mr. Parker's program made a very nice and memorable event for our library. I am happy to recommend him. Thanks so much, Barbara! It was a blast! Will came out to our school for Western Day and the kiddos really enjoyed him and his hilarious songs. Thank you for showing the kids a great time. Thank you so much! It was a pleasure playing for your school. They were a great audience! Will, you were really awesome at Camp Allen. Keep writing awesome songs and doing what you love! Cub Scouts had a blast! Will came to perform at our Cub Scout Blue & Gold Banquet. It was a lot of fun. We received rave comments from more people than I can count. Will’s show was absolutely fantastic and I know we could not have been happier. Will is funny, and plays age-appropriate music. He also makes an effort to involve all children, young and old. We loved every moment. Great entertainment for children of all ages! We hired Will for a 3rd Birthday Party and he was awesome! He has a great set up with his guitar and harmonica and did tons of fun songs that the kids loved. We had about 35 kids in total and he managed to captivate them all for a good 30 minute show. He had them singing along and really getting into it. They were all dancing by the end and it was great show. We would definitely hire him again and he is great and easy to work with. Thanks!! Will Parker came and sang at my elementary school library's DREAM BIG READ STUFFED ANIMAL SLEEPOVER family event. Families sat picnic style in the cafeteria and listened to Will's concert while the students wore their jammies and read to their stuffed animals! Will was great and even wore pajamas and a robe to join in the fun. The kids were mostly kindergarten and 1st graders, and they had fun dancing as grasshoppers, butterflies, and fireflies. Many requested their stuffed friends eat "Gummy Bear pancakes", which was the first song Will sang! Will was on time, kind, and professional...made our event extra fun. I would definitely recommend his services. During Will's whimsical and interactive shows, he plays guitar and harmonica and sings songs that open us up to the world of imagination while simultaneously validating the human experience. A fan favorite at each of Will's show is an improvised song based on topic suggestions from the audience. Additionally, he presents programs on songwriting, the creative process, improvisation, theatre, and story-telling. Will performs all over Texas and will travel anywhere in the continental United States! Why Am I Not A Monkey? Will and I have worked together for several years now. He is a delight to be around, and work with. I love working with him whether we're making music or not. Will a real class act, and a hilarious one at that. If you're looking for someone who is phenomenal with kids and adults, this man can do so in a way few people are able.